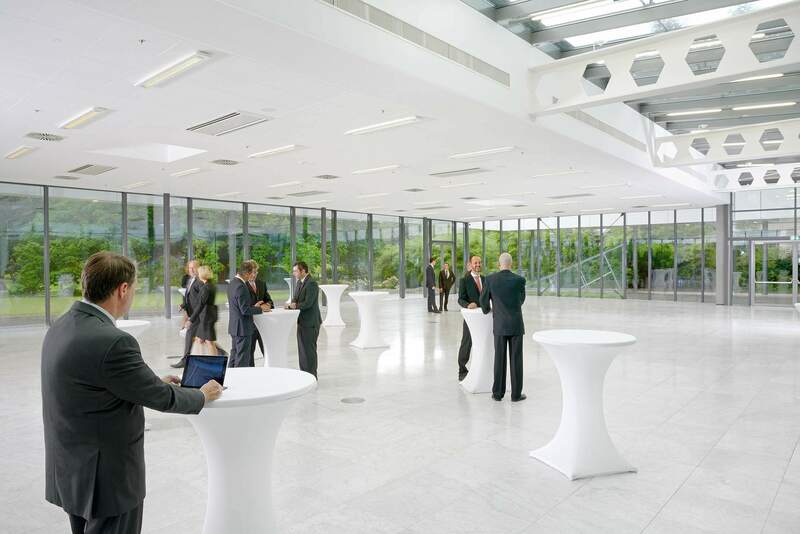 If you would like to book meeting tables or any other event locations, our sales team would be glad to assist you. Please fill in the Meeting Table Request or contact sales@baden-baden.com. In order to assure the trustworthiness of accommodation offers, particularly regarding apartment rentals, please send us your accommodation inquiry. We only deal with reliable partners in this area. Registration for the next meeting is closed. It is supposed to be opened in spring 2019. We extend a very warm welcome to the consultants and experts of the reinsurance companies and are extremely proud to be hosting this congress in our beautiful town for the 49th year. May I wish all delegates a successful congress and an enjoyable few days in our elegant town. 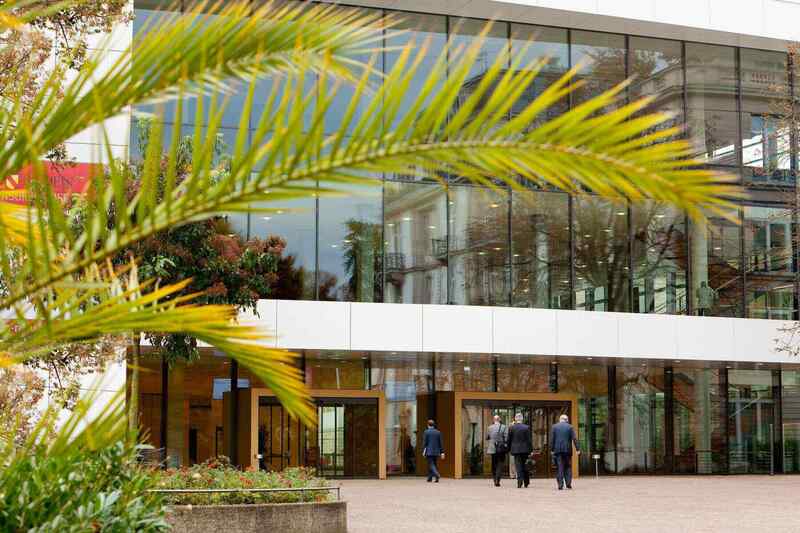 For all delegates visiting the Baden-Baden Reinsurance Congress for the first time, here is a brief overview of the proceedings. 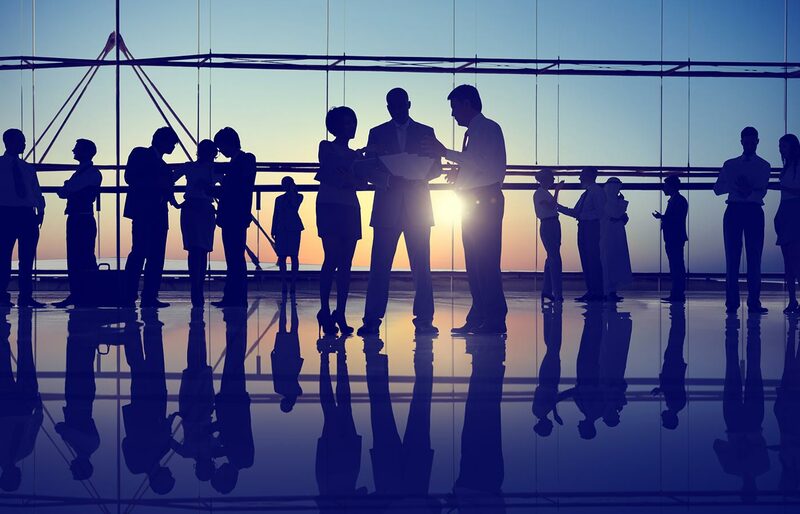 It is a coming together of various experts and specialists in which each delegate organises his or her own appointments. There is no official congress programme. The appointments and meetings take place primarily in the Kurhaus, in the Kongresshaus and in the various hotels in the centre of Baden-Baden. In order to register for the congress, please use the registration section on this official internet portal. Registering delegates from your company is free of charge. There is also no congress fee. Once you have successfully registered, you will be able to see which other experts have already registered for the congress, including the necessary data to establish personal contact. 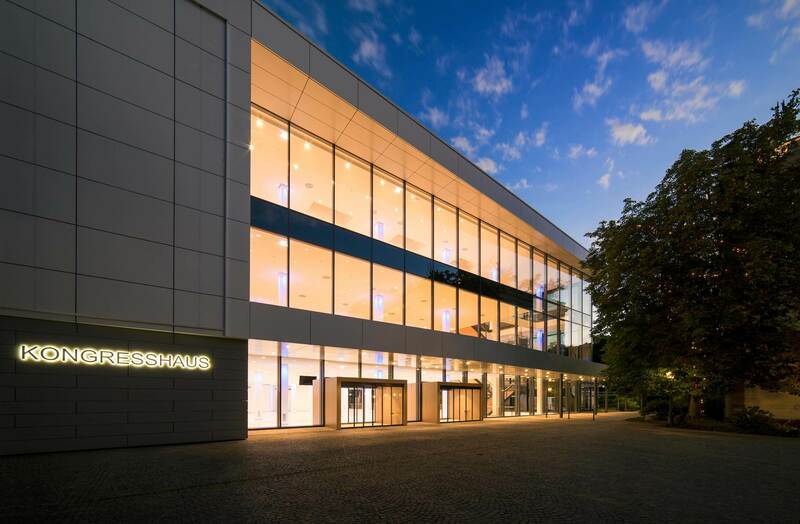 To book a hotel room or a meeting table in the Kongresshaus, please email our sales team directly at sales@baden-baden.com. If we can be of any further assistance, my team will be on hand at all time to deal with your requests. 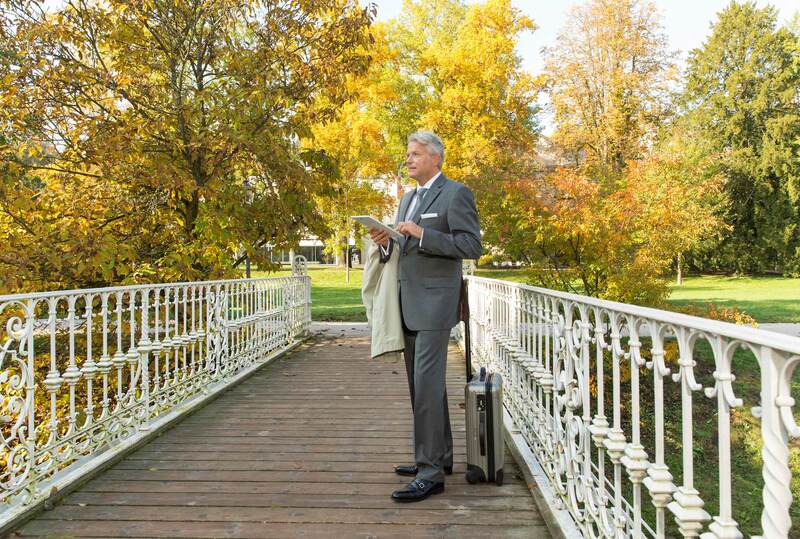 We look forward to welcoming you to Baden-Baden. We are offering a special service in form of a Baden-Baden Reinsurance Meeting App for both Apple (Appstore) and Android (Google Play) devices. Here, among other information, you will be able to find the latest news and a list of events taking place during the congress, as well as being able to view the names of all registered delegates and save their details in the app to your own list of contacts. Aesthetic, clear lines and a classic, timeless design – the Kongresshaus Baden-Baden presents an image of elegance, tradition and know-how framed with a special ambience. 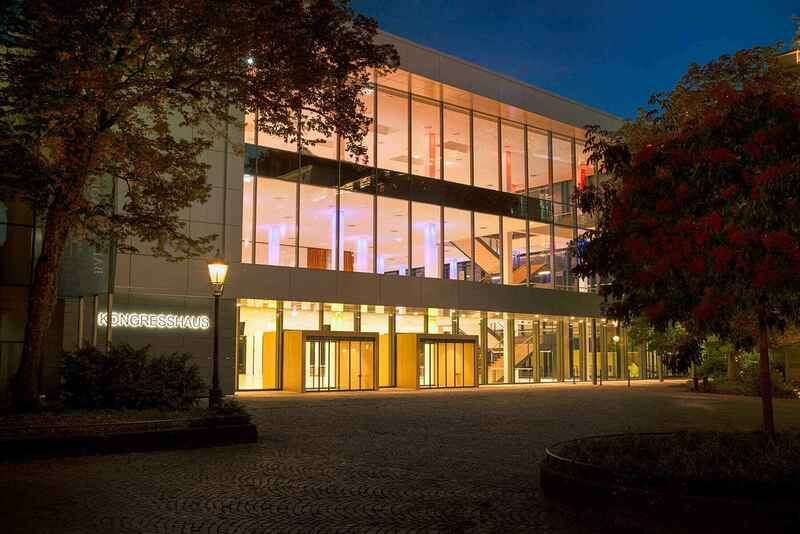 The unique location on the world-famous Lichtentaler Allee, the close proximity to Baden-Baden’s Culture Mile, legendary hotels such as Brenners Park-Hotel & Spa, the exclusive shopping boulevards, the soothing spas and the many fashionable bars and restaurants make the Kongresshaus the perfect stage for your presentations, conferences, exhibitions, seminars and workshops. Germany’s smallest cosmopolitan city will allow your guests to feel the special energy that generates surprises, arouses curiosity and creates a communicative, cosmopolitan climate. 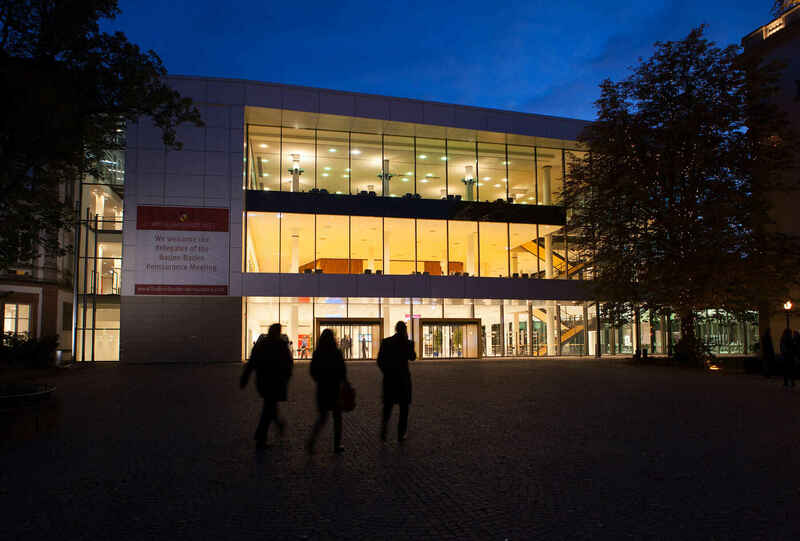 Around the Baden-Baden Meeting numerous top quality events take place that are well worth a visit. Before and after the Baden-Baden Reinsurance Meeting, the town plays host to an impressive array of events featuring everything from a prestigious cultural programme in the Festspielhaus, top-class horse racing and world famous art in the Museum Frieder Burda and the Staatliche Kunsthalle. Come and see for yourself. Considering that the number of participants almost exceeds the number of hotel rooms available in the city center, the majority of participants and companies is usually booking their hotel rooms more than one year in advance. Currently, there are no hotel rooms in the city center available. However, we would love to assist you with the booking of an adequate hotel room. You will find all the latest information on the transport and travel situation for the upcoming Baden-Baden Reinsurance Meeting here.